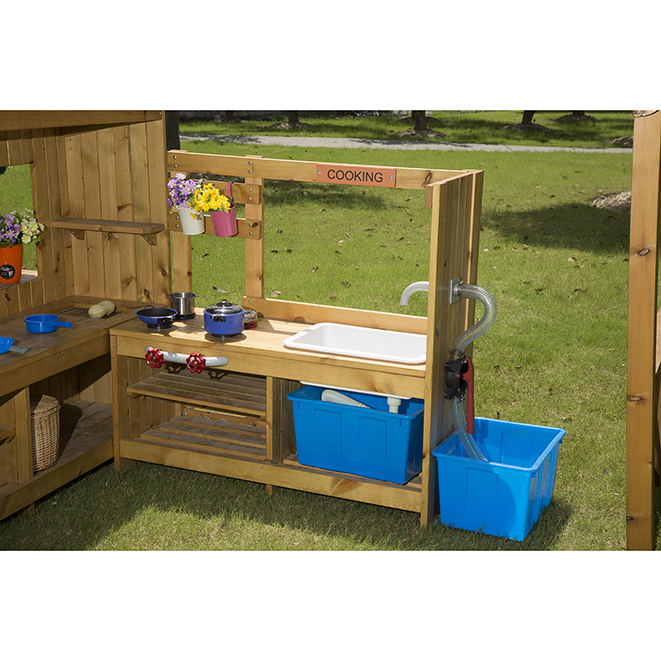 This kitchen unit is ideal for both role play and water play. 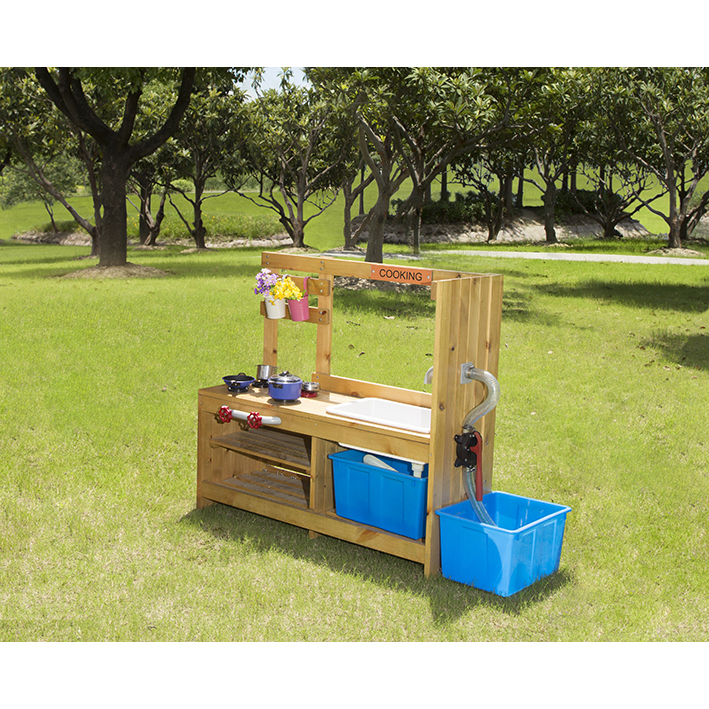 Features a plastic sink bowl and an anti-corrosion steel water pump which allows children to pump water into the sink and then drain after use. Also includes toughened plastic hob rings, hot-red, cold-black. Blue bins not included. 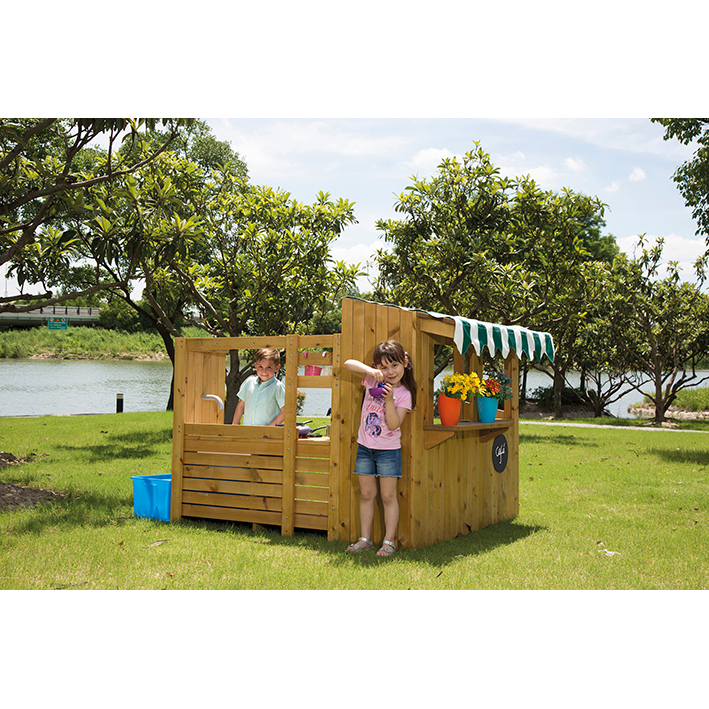 Our Outdoor Play range is manufactured from the finest durable pinewood which has natural patterns and grains for great aesthetic appeal. Our pinewood is pre- treated to provide maximum resistance against rot and decay. All wood comes from FSC certified forests, meaning forests are well managed and materials are legally harvested.